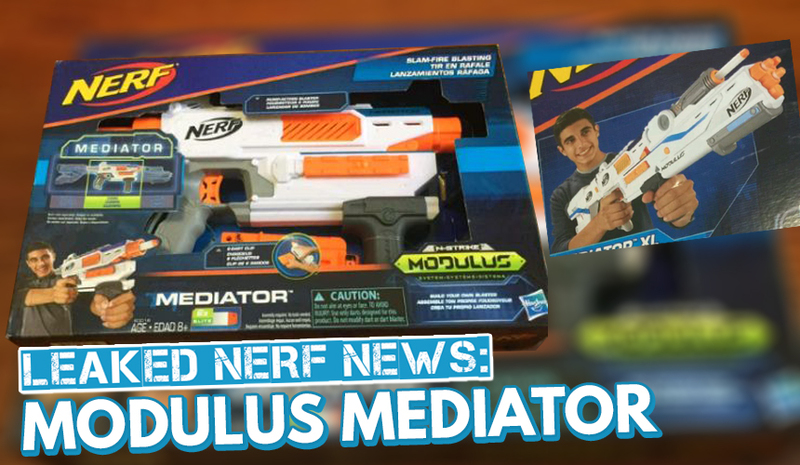 Leaked NERF NEWS: MODULUS Mediator! 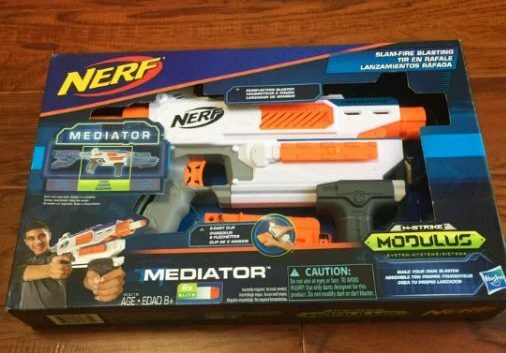 A Baidu user has posted an image of an unreleased Modulus Nerf blaster known as the Mediator. 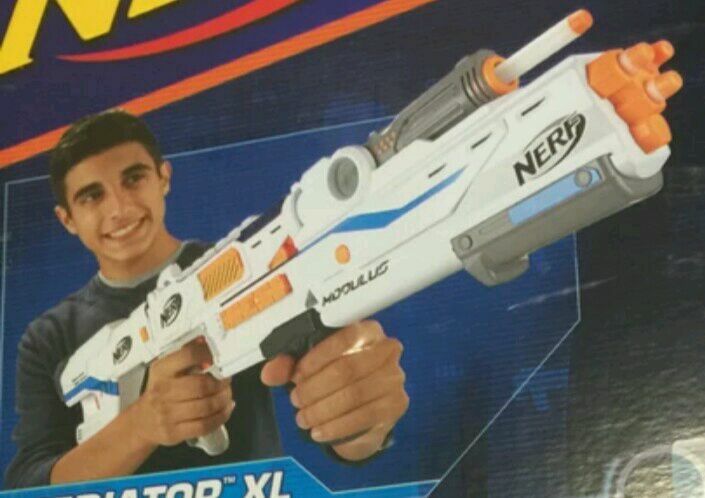 After analysing this image, here is all the information we know about this Modulus blaster. I also found this other interesting close up shot of the Mediator XL, – I’m assuming this is an image from the the back of the Mediator box – showing the Mediator in its complete form. As we can see, the front attachment, appears to be a three-dart shotgun. I’m guessing those darts would be launched like the Demolisher’s front rocket launcher. 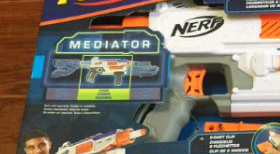 The back part of the Mediator XL appears to be just a regular stock, but I’m going to assume it will include some other feature, such as dart storage or act as a secret mini blaster. This is all the information I can gather from these two photos. Let me know if you have any other ideas on this Modulus Meidator blaster. So, what do you guys think? To be honest, I’d prefer buying the blaster in its complete form, rather than buying another two attachment kits. But I do like seeing another pump-action, slam fire blaster. 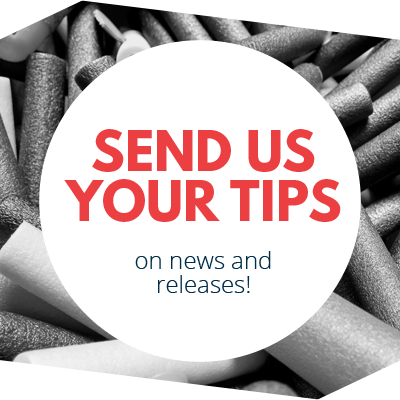 We’ll keep you updated on any more information of the Modulus Mediator! 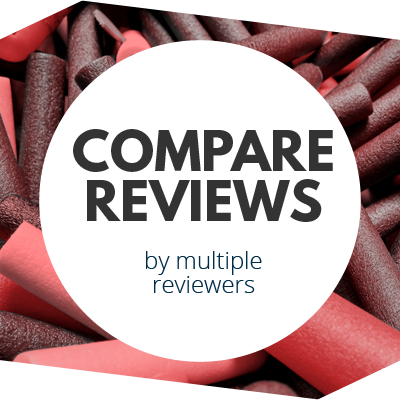 This entry was posted in News/Updates and tagged 2017, blaster hub, leaked, mediator, modulus, nerf, nerf news, news on August 19, 2017 by JJ Reviews. Knex K-force 2017 Rotoshot Review Leaked Nerf News: Elite SURGEFIRE!